(3) state and local taxation, including property tax, real estate acquisition tax, and payroll tax. Although the states do have limited taxing authority related to the above-mentioned matters, consistent with its tradition of centralized governance, the primary source of tax collection (roughly 80 percent) in Mexico is federal income tax. Foreign companies doing business in Mexico should also be familiar with the United States-Mexico“Treaty to Avoid Double Taxation” (the “Treaty”), which allows companies to, among other things, credit the taxes payable in one country against taxes payable in the other country, so as to avoid being taxed twice on the same income. The Treaty also outlines when a foreign company will be deemed to have a“permanent establishment” in Mexico, thereby obligating it to pay taxes in the country. The following summarizes the principal obligations with respect to the federal, import-export, and state and local tax regimes mentioned above. Mexican companies, foreign companies with a permanent establishment in Mexico (as defined under the Treaty and Law), and foreign companies deriving income from Mexican sources and activities are obligated to pay Mexican income tax at a rate of 29 percent of the Company’s total taxable income or“fiscal result”. VAT is assessed at the rate of 15 percent (10 percent in the Border Zone, defined as the 20 km strip along the U.S.-Mexico border and including the entire Baja California Peninsula) on agreed upon consideration for the specific taxable transaction, subject to certain exemptions. Concerning each taxable transaction, taxpayers must transfer the tax accumulated, meaning that the tax must be collected (charged) by the buyer from the seller. (paid) by them. The difference between the tax collected and the tax paid is the tax payable to the Mexican government, or as the case may be, the balance owing to it that may be recovered by filing the applicable refund. VAT Taxpayers are required to make provisional VAT payments at the same time that they make provisional payments for income tax. VAT does not apply to the export (from Mexico) of goods and some services. For example, if a U.S. company hires a lawyer, accountant or consultant in Mexico, you are not charged VAT, as long as the services are enjoyed in the United States. VAT does not apply to the sale of food, medicine, doctor’s fees, education, books, and other items. Foreign companies not registered before the Mexican tax authority “Hacienda”, cannot either charge VAT to their Mexican customers or recover from Hacienda VAT paid to their Mexican suppliers. This tax is payable by legal entities on company assets. The tax is payable at a rate of 1.8 percent on the value of the assets of the taxpayer and is complementary to the income tax, meaning that if the amount of income tax due is greater than the applicable asset tax, no asset tax is paid. Only if the applicable income tax is less than the asset tax, must the taxpayer pay asset tax. The assets considered for asset tax purposes are financial assets, fixed assets, deferred charges, real property and inventory. Taxpayers may deduct from the value of the assets debt contracted with companies resident in Mexico, with permanent establishments located in Mexico, and with residents abroad. However, debts contracted with the financial system cannot be deducted. 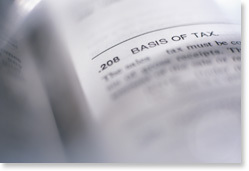 Because the asset tax is complementary to income tax, an equivalent amount of advance payments on income tax may be credited against the amounts payable for assets tax. The obligation to pay asset tax commences four fiscal years following the initiation of business activities. a) Definite Imports. On definite imports, the importer is obligated to pay the General Import Tax (GIT), value added tax, customs procedure fees, and any applicable countervailing duties at the time of the import. b) Temporary Imports. Under Mexican law, merchandise may be imported into Mexico on a temporary basis. In a maquiladora (in-bond) operation, the in-bond company will typically import on a temporary basis (1) machinery and equipment to be use in the Company’s in-bond manufacturing and (2) goods (raw materials, inputs, etc.) subject to transformation and subsequent export to the country of origin or other foreign jurisdiction. Mexican Customs collects VAT from the importer of foreign goods upon entry of the goods into Mexico. This VAT is assessed on the cumulative value consisting of the U.S. plant value (f.o.b. price) of the product(s), plus the inland U.S. freight charges, any other costs listed separately on the invoice such as export packing, insurance, plus any applicable import duties. The VAT is 10 percent for products exported to the Border Zone. For final shipping points, other than the border zone, a 15 percent VAT is charged. The importer will pay other VAT fees for such services as inland Mexico freight, warehousing, and custom brokerage fees, if applicable. The VAT typically is recovered at the point of sale. For U.S. exporters, VAT is paid by the party importing the merchandise in Mexico, and then recovered upon the sale of the imported product to the end-user or reseller. Thus, if you work through a distributor or subsidiary company, this entity will import the product and pay VAT at that moment, then collect it from the final Mexican customer. If you sell direct, the buyer should be responsible for importing and payment of VAT, otherwise you will be left with an additional 15% non-recoverable cost on your product. General import taxes are the duties levied on the import of certain products. These duties vary depending on the product type and origin. Under NAFTA, virtually all duties on the import of goods made in the USA have been eliminated. State and local taxes typically include (1) local property tax; (2) state real property acquisition tax, (3) state payroll taxes; (4) in some states, lodging/tourism tax. Property taxes are notoriously low in Mexico, are paid annually and are imposed by the municipality in which the real property is located. The rate varies depending on the municipality and the value of the property. Real property acquisition tax is imposed by the state in which the property is located and is onetime tax charged to the purchaser of real property, payable at the rate fixed by state law, which in most states is 2 percent of the purchase price. Payroll tax is imposed by the state in which the Company is domiciled and in most cases is payable annually at the rate of 2 percent. The U.S. Mexico Treaty to Avoid Double Taxation, depending on the application, can result in both limiting taxation in Mexico as will as imposing it. On the good side, the Treaty protects taxpayers from having to pay taxes twice (in Mexico and the U.S.) on the same income. On the bad side, if not careful, a U.S. company doing business to Mexico may be deemed to have a “permanent establishment” in Mexico, thereby subjecting it to the payment of taxes on income generated by that establishment (e.g., sales to Mexican customers). To take advantage of the Treaty, the taxpayer must demonstrate its residence in the U.S. and comply with the applicable legal provisions established by Mexican tax law with respect to registration and submission of reports, and the appointment of legal representatives, among others. U.S. companies wishing to do business in or export to Mexico without paying taxes in Mexico should pay close attention to this section. For income tax purposes the term “permanent establishment” means any place in which business activities are wholly or partially carried on. The term incorporates branches, agencies, offices, factories, workshops, installations, mines, quarries and any other place of exploration for or extraction of natural resources. If a company or individual has a permanent establishment in Mexico, it must file and pay taxes in Mexico on the income generated by that establishment, such as sales to Mexican customers. The Treaty and federal tax law, however, stipulate that the many activities do not constitute a permanent establishment, including among others (i) a storage facility for display goods; (ii) a place of business for acquiring goods or merchandise, or for collecting information for a non-resident, carrying on preparatory or auxiliary activities (e.g., advertising, research; and (iii) the deposit of goods or merchandise of a nonresident in a bonded warehouse, or the delivery of such goods or merchandise for import into Mexico. f. if the agent receives a fixed remuneration which is not dependent on the results of his activities. g. if the agent conducts activities for the non-resident by setting prices or amounts of compensation other than those that would have been used by unrelated parties in comparable transactions. Answer: Make sure you (i) fulfill the requirements under Mexican tax law to take advantage of the benefits under the treaty; (ii) have a well-written contract with your agent; (iii) manage your agency relationship in accordance with the terms of the contract and develop and maintain the proper paper trail that supports the terms of the contract; (iv) in general, do not require your agent to hold himself out as an extension of your company in Mexico or exercise powers of attorney on your behalf except in very limited circumstances.